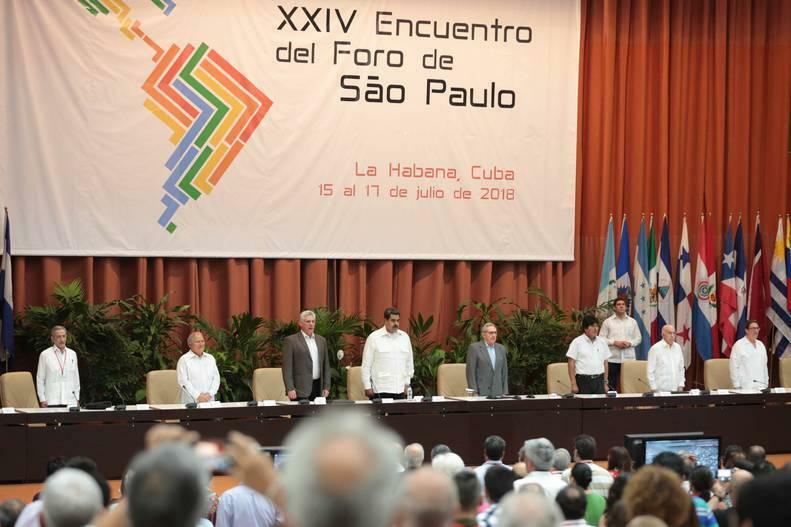 The XXIV Forum of Sao Paulo rejected on Tuesday the economic "blockade" imposed by the government of the United States (USA) - backed by countries on the right of the continent and the European Union - against Venezuela. In statements transmitted by VTV, the participants in the meeting also expressed their solidarity with the nation, against the interventionist campaigns against Venezuela. "The Sao Paulo Forum rejects the criminal blockade imposed by US imperialism against the people of Venezuela. The political, social organizations participants in the XXVI meeting of the Sao Paulo Forum express their absolute support for the Venezuelan brotherhood before the political-diplomatic aggressions, economic-financial and communicational that is the object of US imperialism in seeking to achieve their isolation and submission, "the document says. 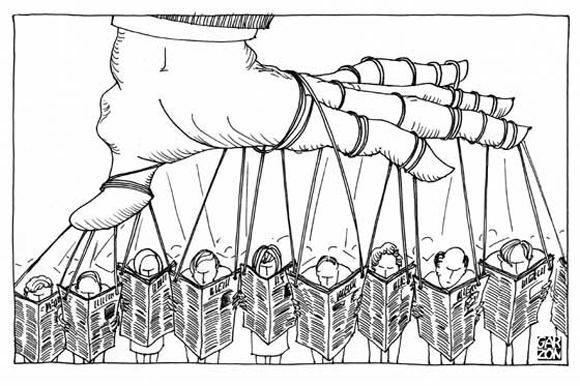 In this regard, the more than 420 movements of social organizations, leaders of 113 countries in Latin America, emphasized that these unilateral actions of the US are aimed at "suffocating the Venezuelan economy, pushing the population to massive migration and civil conflict internally "in order to generate the favorable scenario for a foreign military intervention, a threat that has been repeatedly declared by the members of the administration of US President Donald Trump, as well as the president himself. "The participants of the XXVI Meeting of the Forum confirm that solidarity with the homeland of Simón Bolívar and Hugo Chávez and it is a priority task of all the parties of Latin America and the Caribbean and of all social organizations of workers and of all democratic institutions", states the text. 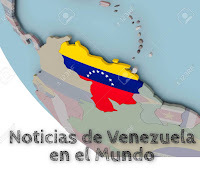 For this reason, the members of the meeting, which took place in Havana, Cuba, since last Sunday, urged social movements to convene conferences in defense of peace and sovereignty of Venezuela, as well as demanded the lifting of the economic blockade. On the other hand, they highlighted the will of the Venezuelan people to stand firm against the constant interventionist attacks and reaffirm their commitment to the Bolivarian Revolution, a fact demonstrated on May 20th - in the presidential elections - by re-electing President Nicolás Maduro as national leader .